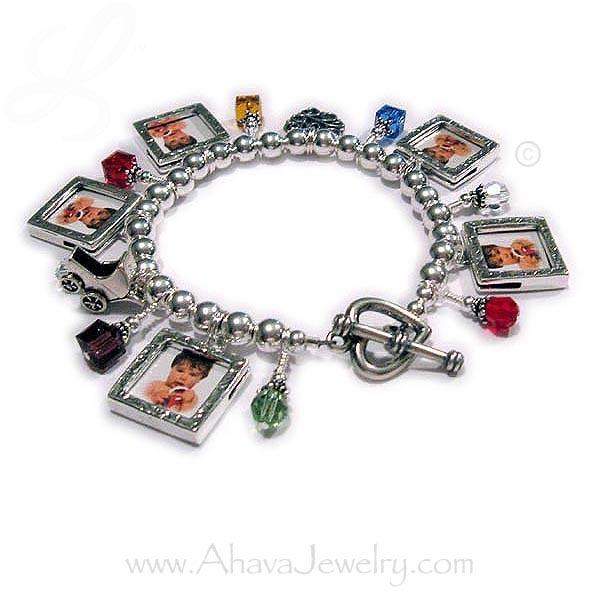 This build our own Judiac Photo Charm Bracelet comes with 6mm round smooth beads for $39. YOU add as many charms as you would like, during the ordering process. 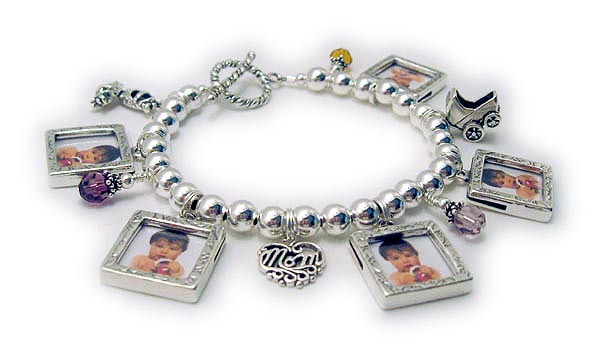 You may add photo frame charms. I have Heart, Square Smooth, Square Textured, Dog Photo Frames, Cat Photo Frames and Rectangle Photo Frame charms. You may also add additional charms and birthstone crystals dangles, as shown above. This bracelet is shown with an upgraded Heart Toggle clasp. A lobster or toggle clasp is included in the price but I have other clasps to choose from. I will put the charms in the prettiest order, unless specified in "Special Instructions" or via email. I would be happy to insert the photographs for, if you would prefer. Just email me the pictures before or after you place your order.